Your library offers a variety of FREE computer classes to introduce you to new concepts or sharpen your skills. 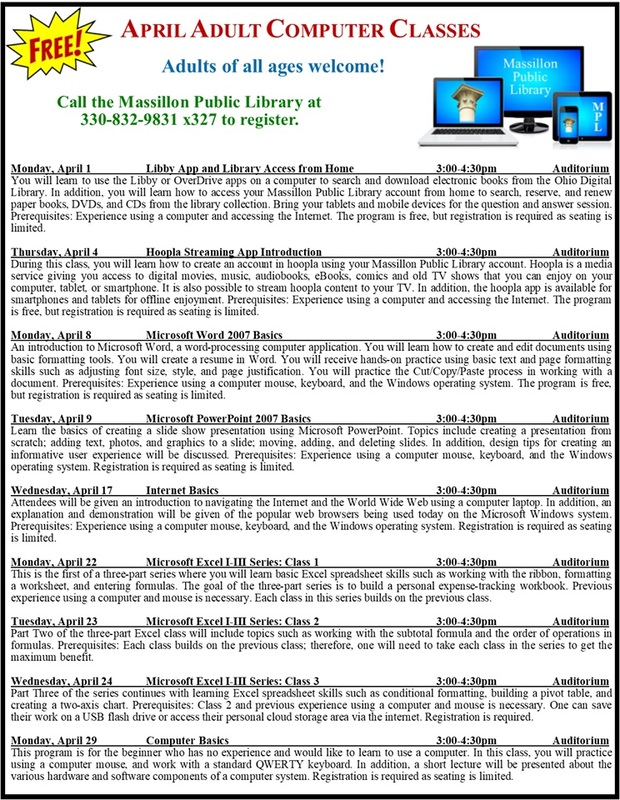 View the April computer class schedule or check the website calendar for more information about computer classes and other library programs. For more information or to register for a class, contact the Computer Center at 330-832-9831, ext. 327.